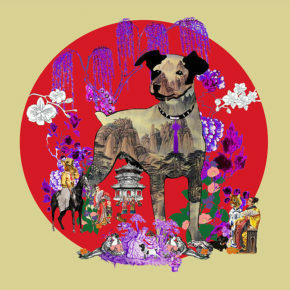 The year of the Earth Dog 2018 will be more harmonious thanks to the secret friends Dog and Rabbit in the Paht Chee chart of the year. There will be less hostility and fewer conflicts (including international politics) and generally good prospects for relationships and networking. The metal element is missing in the chart which means 2018 is not a year to make money. Lillian Too recommends to take a break and focus on your relationships instead! The excessive wood element destroys the earth element of the year. This makes for a very unstable year with lots of natural disasters involving earth, such as landslides, earthquakes and volcanic eruptions. There is no “Lap Chun” so the year will start slow. 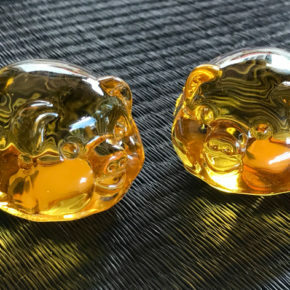 But opportunities for wealth creation do come up in August and September 2018 if you activate the hidden wealth element by inviting Namtose, the Lord of the Dzambhalas, or the Wealth Buddha into your home. The summer months are the best time to invest in the stock market. Please be aware of the Star of External Flower of Romance as this could cause trouble in your relationships, lead you into temptation and into extramarital affairs. The No 9 Star flies into the Centre in 2018, meaning that this year will be a year of consolidation and completion of all unfinished business. To move forward you ought to complete your current task first before starting a new one. There are plenty of resources and opportunities coming up during the year but it will require a lot of work to make anything happen. Do not expect quick results. Wearing gold jewellery and metal colours will be beneficial as the year is missing metal element. That is the secret to unlock your wealth luck. 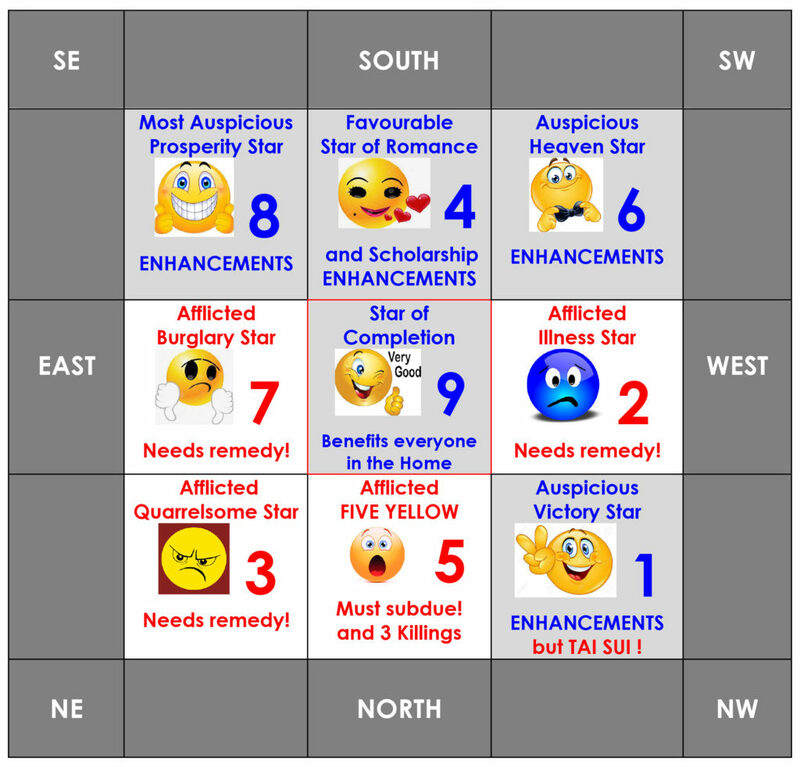 The new Flying Stars chart takes effect from 4th February 2018. Updating your Feng Shui every year is the secret to continued success and happiness. Each year the flying stars change their position, creating a considerable shift in energy. It is therefore important to stay up to date and correct the Feng Shui in all nine areas of your home to reduce the effect of the afflictions and enhance the auspicious energy in your home. Your main entrance is facing the direction (eg the No 5 Star affects you if your main entrance is facing NORTH). Your main entrance is located in the sector (eg the No 5 Star affects you if your main entrance is located in the NORTH). The star visits the location of your zodiac animal. For example, those born in the Year of the Rat are particularly endangered by the No 5 Star this year as the zodiac location of the Rat is the NORTH. It is always better to be safe than sorry and the first step to your annual Feng Shui update should be to identify the location of the bad stars and subdue them using elements and symbolic cures. As the name suggests, the No 2 Star brings illness, especially to those who spend a lot of time in the WEST (eg if your bedroom is in the WEST) or those who live in houses facing WEST. Residents can become physically ill and mentally weak. The Illness Star particularly affects the lungs as well as those born in the Year of the Rooster and young daughters. 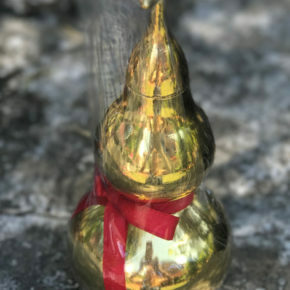 Place a Garuda Wu Lou or a figure of Kuan Yin with the Garuda Bird in your WEST area as protection. In addition, you can display the Bejewelled Medicine Buddha in the WEST of your living room which will also counter the Reducing Energy Star. This is a nasty star which brings arguments and misunderstandings, serious disagreements, hostility, violence, litigation, and even troubles with the authorities. Even if you manage to keep your calm, others will be angry at you! Many people will suffer from tension and stress. If your main door is located in the NE, place a pair of Bejewelled Red Fu Dogs as door guardians. If your dining room is located in the NE, display a bowl of red apples on your dining table to bring peace and harmony. Make sure the apples are always fresh. Subdue the Yearly Killing Star with the White Umbrella Goddess or a Laughing Buddha and activate the Big Auspicious Star with one (or more) Treasure Chests. This is the most dangerous star of the affliction stars, bringing serious misfortune, mishaps and danger, including illness. The influence of the 5 Yellow is usually the main cause of a reversal of fortune. The Rat and young sons need to be particularly careful. Those living in NORTH facing houses need strong protection. It is best to keep this area as quiet as possible. Display the new Five Element Pagoda on a bed of waves in your NORTH to subdue the negative energy. In addition, use the Three Red Lions to control the Three Killings and the Lion Face Dakini to cure the Natural Disaster Star. This will be a dangerous year for those born in the Year of the Rabbit and those with bedrooms or main doors in the EAST. The violent No 7 Star does not only bring burglary, robbery and betrayals, where people will let you down, it also brings violence and death associated with metal and blood. There is danger of bloodshed and death caused by guns and knives. In addition, the Yearly Conflict Star and the Yin House Star make things even worse. If your house faces EAST you need strong protection. Place a pair of Blue Rhino as door guardians and place Anti-Burglary Stickers on your EAST facing windows. The Rabbit and oldest son should carry a protective Anti-Burglary amulet. Use a Yang House Amulet Plaque to overcome the Yin House and the Yearly Conflict Stars. Take advantage of the auspicious stars and enhance them to improve your luck for the year! The auspicious stars will be particularly good for you if your main entrance, bedroom, living room or animal palace is in this location. The auspicious White Star No 1 brings great good fortune and auspicious energy for prosperity and triumph in all endeavours, as well as victory and success luck, career advancement and success at work. If you wish to improve your skills you can also activate the No 1 Star. This is great news for the Patriarch, especially since he has been afflicted for two consecutive years. Dog and Boar will benefit too. This excellent star must not be blocked by cutter in your NW. Display a Wind Horse here to realize your goals and amibitions. A Victory Banner can help you to victory in competitive situations, be it at work, job hunting, winning new projects, or in sport. Place a Wish-Fulfilling Jewel to enhance the Small Auspicious Star. The Tai Sui lives in NW1 in 2018, so also need to display a Tai Sui Plaque in this corner. The No 4 Star brings the luck of Peach Blossom, which means love, romance and marriage luck which is excellent for those who wish to get married. It also brings education luck for students young and old. 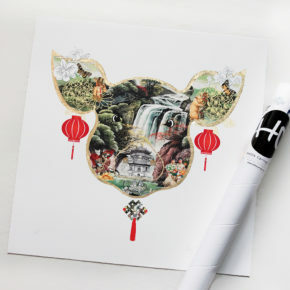 To enhance education luck, place a Luo Han in the SOUTH of your home or in the SOUTH of the student’s room. Those looking for romance and marriage opportunities can display their peach blossom animal in the SOUTH. The Wu Duo Star can cause loss of wealth and can be overcome with the Bejewelled Namaste. This wonderful star will bring luck from heaven in the form of unexpected windfall luck and helpful benefactors and mentors coming into your life. Use symbolic Feng Shui in your home or office to enhance the luck of heavenly helpers coming to your aid, bringing great good fortune! This particularly benefits the Matriarchs and the Sheep and Monkey. 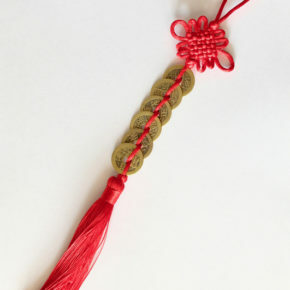 To activate, display the 3 Emperors on Horses and carry a Jade Emperor Heaven Luck amulet. The Bejewelled Kuan Yin sitting on a Snow Lion brings the luck fo the Golden Deity Star which is also located in the SW. You also need to subdue the Yin House and Yu Duo Stars with a Yin House Mirror. This is the most auspicious star of all and must be activated if you wish to attain wealth, success and power in 2018. Display a Bejewelled 108 Lime Tree in the SE to enhance for wealth and prosperity, and the Mountain of Gold to protect your wealth. You also need a Red Apple here to keep the Yearly Conflict Star under control. 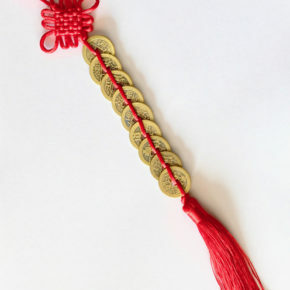 Those born in the Years of the Dragon and Snake should carry a 10 Hums amulet for protection against violence and aggression. To counter the Sui Po Star you need to invite a Deity into your house. You can choose whichever Deity you have a connection with. The No 9 Star is called the “Star of Completion” or the “Multiplying Star”. Everybody needs to activate the Centre of their home to bring new prosperity – otherwise their luck will not come. All members of the household can benefit from the No 9 Star. Display 9 Golden Pears or the God of Wealth Sitting on a Tiger. If you love dogs, you can also display 9 Dogs in the Centre of your home to activate the ruling number of 9. 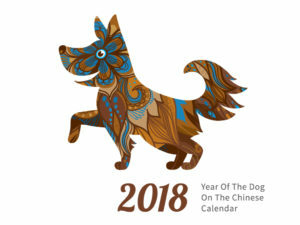 Now you are all set for the Year of the Dog 2018!